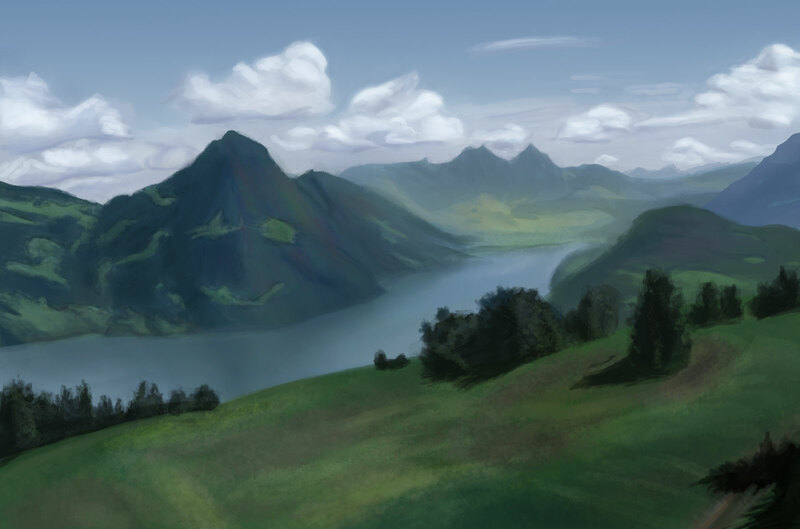 Here is a digital painting I did of the alps while on vacation to the beach (not the Alps). I find that stepping out of the daily routine and into a different location helps me feel more free and inspired to paint. I worked on showing distance with atmospheric perspective and using a painterly approach.